Robert A. Miller, 89, of Sizerville Rd., Emporium, died in his home on Monday, August 27, 2018, following a short illness. Born May 3, 1929 in Emporium, he was the son of Frank C. and Mildred Faucett Miller. In March of 1954 in Frenchville, he married Marie Renaud who survives. A lifelong resident of Emporium he was a 1946 graduate of Emporium High School. Bob was a veteran who served in the US Army during the Korean conflict. He was a member of VFW Post 6221 and the American Legion Post 194, both in Emporium. He was retired truck driver and spent most of his career employed by GTE Sylvania in Emporium and St. Marys. In addition to his wife Marie, survivors include: one daughter, Karen Mancini and husband Larry of Clifton, Virginia; one grandson, Peter Joseph Mancini also of Clifton; one brother, Jim Miller of Emporium; and many nieces and nephews. In addition to his parents, Bob was preceded in death by two brothers, Jack Miller (Nov. 1944) and Harry Miller (Dec. 1944), both KIA during WWII, and one sister, Marjorie Hayes in 1999. There will be a private interment at Newton Cemetery with Rev. Matt Ryan officiating and military honors will be accorded by the Cameron County Memorial Detail. There will be no visitation and no Funeral Service at this time. A Memorial Service celebrating Bob’s life will be scheduled for a later date. Memorials, if desired, may be made to VFW Post 6221, American Legion Post 194, or the Cameron County SPCA, all in Emporium. Glenn Fiebig, 72, of 47 Huckleberry Circle, Emporium, PA died at Guy & Mary Felt Manor, Emporium, PA on Monday morning. (August 20, 2018) He was born May 18, 1946 in Norristown, PA a son of the late Edward R and Josephine Fiebig. On May 28, 2016 in Emporium he married his best friend Michele Park, who survives. Glen was a 1964 graduate of Anville Cleona High School where he excelled in track and Field and basketball. He was also the president of the band where he played drums. He was inducted into the Pennsylvania Sports Hall of Fame in 2004. Glen was a Pennsylvania state police officer for over 30 years and a member of the Pennsylvania state police rodeo. He was a Cameron County commissioner for 16 years and was very active in the community, volunteering his time to create opportunities for the youth. Glen was instrumental in building a playground in Driftwood, a play ground and ballfield in Sinnamahoning and enhancing the Cameron County Little League complex in Emporium. He was involved in Little League baseball for over 40 years. Little league was a great source of pride for him and he was the district 10 administrator for over 37 years. He brought the Pennsylvania State Little League tournament to Cameron County which he hosted for over 32 years. He umpired games at the Little League World Series in Williamsport PA and also the Senior Little League World Series in Kissimmee, Florida. Glen was a part of so many local organizations. The last few years he actually took time to slow down and enjoy his life. He loved to travel and ride his motorcycle. 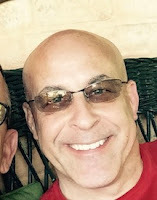 In addition to his wife Michele he is survived by son, Shawn (Sara) Fiebig, Annville, PA; daughter, Carole (Craig) Heim, Emporium; son, Eric (Eryn) Fiebig, Emporium; son, Justin (Samantha) Fiebig, Kane; step-son, Jake Brown, Ft. Collins, CO; step-daughter, Katie Brown, Northumberland, PA; nine grandchildren: Emily, David, Aaron, Bryce, John, Max, Aedrick and Axeton and Diana; brother, Edward R. Fiebig, Jr., Orange Park, FL; mother & father-in-law, Harry and JoAnn Park, Emporium. Celebration of Life Service will be held at the convenience of the family. He graduated from Phoenixville High School. He worked as an underwriter for Fannie Mae Mortgage Company for many years and was recently planning his retirement. He and Jim, along with business partner Sharon Robinson, purchased the former Erskine home in Emporium and are in the process of extensive renovations on the it where they were awaiting the grand opening of The Hygrade Inn, the areas newest Bed &Breakfast, set to open Nov. 1, 2018. David had a passion for living, loved people, and touched the hearts of everyone with whom he came into contact. Life will be much lonelier without him. Surviving in addition to his spouse James Wendel; two brothers, James W. Karkoska, Bethel, PA and Richard J. Karkoska, Lewes, DE; sister, Sandra J. (Lee) Marlow, Emporium; mother-in-law, Janice Fitch, Emporium; several nieces and nephews. He was preceded in death by his parents. 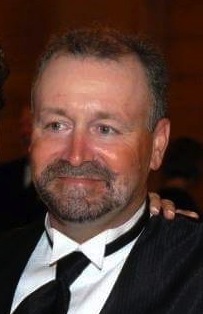 Lennie graduated from Cameron County High School in the class of 1983. He worked as a self employed logger for many years. He was a member of the Bucktail Rod and Gun Club. In addition to his parents and wife he is survived by a daughter, Nicole Hulick, Dover, DE; brother, Richard (Michelle) Hostler, Fayetteville, NC; sister, Glenda (Tony) Bentley, Hudson, NC; brother, James (Pam) Hostler, Hulett, WY and several, nieces and nephews. He was preceded in death by a brother, Richard A. Hostler. In lieu of flowers, a donation may be made to cover the final expenses; c/o: Barnett Funeral Home, 207 E. 4th St., Emporium, PA 15834 or placed on funeral home website. Sara "Sally" Novosat, 72, of Guy & Mary Felt Manor, Emporium, PA formerly of Driftwood &amp; St. Marys died at Guy & Mary Felt Manor, Emporium, PA Friday (August 10, 2018) afternoon. She was born January 1, 1946 in St. Marys, PA a daughter of the late William Anson and Ruthanna Madelene Stimpson Mason. Sally worked with the Community Nurses for over 30 years. When she wasn't working, she enjoyed working for the Lord. She was faithful in teaching Sunday school, Vacation Bible School, serving at Bowls of Love, and Bible studies at Pine Crest and Elk Haven. During the holidays she helped with children's Christmas pageants and serving at the Christmas Day Happening in Ridgway. Sally loved serving others. She is survived by two sons, William (Mary Lee) Uber; Daniel Uber, both of Emporium; three daughters, Molly (Gary) Owens, Summerville, SC; Melissa (Eddie) Maxwell, Evans CO; Becky (Jason) Brooks, Virginia Beach, VA; ten grandchildren; two brothers, John Mason, Driftwood; Gerald (Della) Mason, Naples, FL. Visitation with Video Tribute will be at the Barnett Funeral Home, 207 E. 4th St., Emporium on Wednesday from 4-6 PM. Edward D. "Junior" Tartaglia, 85, of Guy & Mary Felt Manor, Emporium, PA formerly of 239 W. 5th St., died at Geisinger Medical Center, Danville, PA on Friday afternoon (August 10, 2018) He was born June 6, 1933 in Lock Haven, PA a son of the late Domenic and Rose Marie Policastro Tartaglia. On June 29, 1958 in Emporium he married the late Janet Lewis. Junior worked as a firearm on steam and diesel locomotives. He was part of the gang laying and repairing right of ways for the Pennsylvania Railroad. He then joined and served with the United States Navy during the Korean War. After his time in the service he worked as an assistant superintendent with PennDOT for many years. In November 1977 he became a railroad inspector for the Pennsylvania rail program inspecting track conditions and track work. He retired in December 1991. Junior was an avid democrat and a member of the Democratic Committee. He was a member of the VFW and St. Mark Catholic Church. Years ago he started an Italian American dinner and dance get together where the members enjoyed fellowship. He is survived by a daughter, Victoria (John) Songer, Emporium; a son, Edward (Lori) Tartaglia, Syracuse, NY; five grandchildren: Erin (Justin), Jonathan (Mandy), Joseph (Tasha), Kristen (Jeff) & Katie; one great granddaughter Madeline and one great grandson Noah; one sister, Rose Ann (Jack) Taylor, Florida; one brother, Robert (Letty) Tartaglia, Florida; many nieces and nephews including a special great niece Paige Scott. In addition to his parents and wife he was preceded in death by brothers, Daniel, Joseph and Lawrence Tartaglia; sisters, Jane York, Caroline Tartaglia, Helen House, Sylvia Ives and Grace Scott. Visitation with Video Tribute will be at the Barnett Funeral Home on Monday from 4-7 PM. A Mass of Christian Burial will be Celebrated at the St. Mark Catholic Church, 235 East Fourth Street, Emporium, PA on Tuesday (August 14, 2018) at 10:30 AM with Rev. Paul S. Siebert, Pastor, as Celebrant. Joan Tompkins, 70, formerly of Emporium, passed away Saturday, July 28, 2018, in South Hills Rehabilitation & Wellness Center, Canonsburg, Pa.
Born September 2, 1947 in St. Marys, she was the daughter of John H. and Mary Yahnite Smith. Before relocating to assisted living in 2014, Joan was a lifelong Emporium resident where she graduated from Cameron County High School. She went on to college and received her teaching degree from Edinboro University of Pennsylvania. In the early 70’s she was a teacher and cheering instructor at Coudersport High School. In the 80’s & 90’s she kept busy by substituting at Cameron County High School, St. Marys area schools, and Austin High School as well as tutoring many students in the community. Joan was a past member of St. Mark Church in Emporium and the Emporium Garden Club and was also a Girl Scout leader in Emporium. She is survived by: one son, Michael Tompkins of Ottawa, Ontario, Canada; one daughter, Becca Tompkins Wassmuth of Austin, TX; three sisters, Judy Smith Topolski of Truckee, California, Jean Smith Everman of Morgan Hill, California, and Mary Smith Curcio of Warren; five grandchildren; and also nieces and nephews. In addition to her parents, she was predeceased by one brother, John Smith. Funeral Services will be held at a later date and will be announced. Burial will be in St. Mark Cemetery, Emporium. Harold Grimm, Jr., 57 of E. Allegany Ave., Emporium passed away suddenly in his home on August 2, 2018. 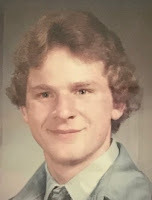 He was born August 15th 1961, in St. Marys the son of Natalie Grimm, Emporium and the late Harold Grimm, Sr.
Harold was born and raised in Emporium Pa but had also spent several years in Florida and Maryland. In his youth Harold was an active outdoors man and farmer. He loved to spend time fishing, hunting, and trapping, in addition to raising cows, pigs and horses. Harold also loved his dogs Annie and Pepsi very much. Harold will be sadly missed by his family and friends. Robert K. Patros, 78, of 871 Hillcrest, Emporium, PA died at his residence on Friday morning. (August 3, 2018). He was born December 11, 1939 in LaCrosse, Wisconsin a son of the late Kenneth and Angeline Shepherd Patros. He married Marsha Westfield Patros, who survives. He retired from the State DCNR where he worked for many years as a mechanic. After retirement he owned and operated Bobbies Small Engine Repair where he was known as "Mr. Fix it". He was a member of the First Presbyterian Church in Emporium. In addition to his wife he is survived by son, Tim Patros, Wisconsin; two daughters, Debra Kramer, Waukesha, WI and Pamela Elmhorst, Wisconsin Rapids, WI; one step-daughter, Deborah Pleskonko, West Decatur, PA; and a step-son, Ray Shively, Port Allegany; nine grandchildren, eight great grandchildren; one brother, Ronald Petros, Milwaukee, WI; and a sister, BJ Zulick, Wisconsin Rapids, WI. A Memorial Service will be held at the First Presbyterian Church, 205 East Fourth Street, Emporium, PA on Saturday, (August 25, 2018) at 11:00 AM with Pastor Emelia Burdick, Pastor, officiating. Patricia L. Costanzo, 91, formerly of 2357 Rich Valley Road, Emporium, PA, died at UPMC-Mercy Hospital, Pittsburgh, PA on Friday afternoon, August 3, 2018 following a lengthy illness. She was born May 1, 1927 in Emporium, PA, a daughter to the late George and Grace Ness Strahl. On February 22, 1949, she married the late Frank P. Costanzo in St. Mark Catholic Church, Emporium. Patricia was a member of the Class of 1945 of Emporium High School where she was a majorette. She last worked as a case manager for The Office of Aging. She enjoyed reading, late night TV, listening to music and her 7 grandchildren and 1 great grandchild. She is survived by three sons; Robert Costanzo; Frank Costanzo; Timothy (Deborah)Costanzo; two daughters, Pamela (Craig) Burt and Ann (Donald) Losey all of Emporium; seven grandchildren: Zachary, Luke &amp; Debra Losey, Tony (Caitlyn) and Louis Costanzo; Ann &amp; Jessica Burt and one great granddaughter Emma. In addition to her parents and husband she was preceded in death by a daughter, Debra A. Costanzo and a brother, Robert Strahl. Relatives and friends are invited to attend a Mass of Christian Burial to be celebrated at St. Mark Catholic Church, 235 East Fourth Street, Emporium, PA on Monday (August 6, 2018) at 10:00 AM with Rev. Paul S.Siebert, Pastor, as Celebrant. Burial will be in the St. Mark Catholic Cemetery, Emporium, PA.